Save $25, Book a Double Combo Tour Now! SAVE $25 - book this combo tour today! 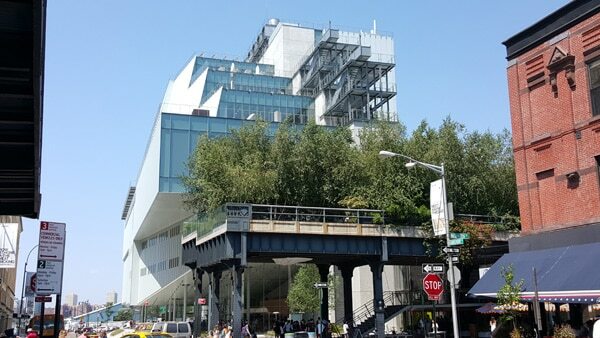 You'll experience both our High Line Walking Tour and Greenwich Village Food Tour in this one amazing experience. 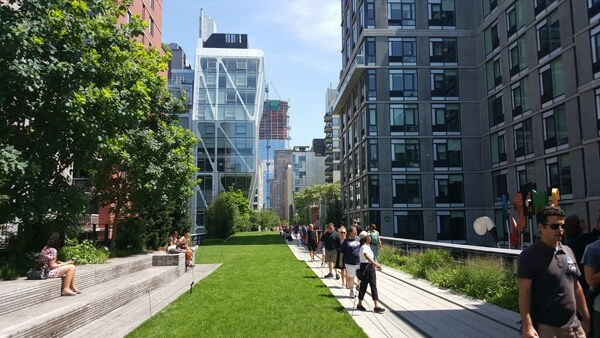 New York's High Line was ranked as one of the Top Ten places to visit in the whole world last year! 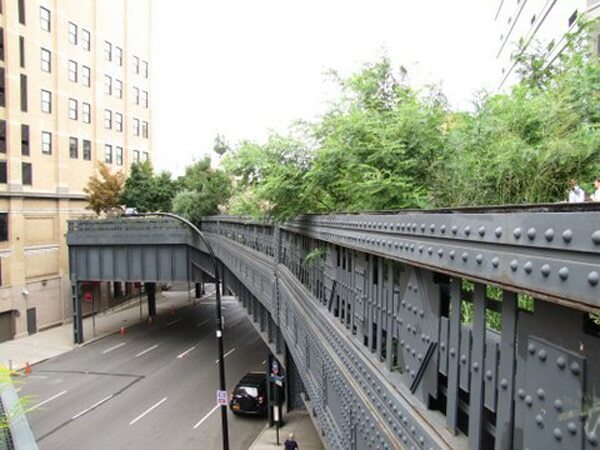 Manhattan Walking Tour has watched this elevated train line grow from a local park to the most sought after attraction in recent history. We at MWT know it's beginning, it's history and what it means to NYC today. We'll tell you inside stories you can't get anywhere else. The High Line is a great New York story of industry, history, and everyday New Yorkers working to make our city even better. On top of the amazing stories, the High Line is a work of art in itself, with amazing views of three dynamic neighborhoods and cutting-edge architecture all around it. 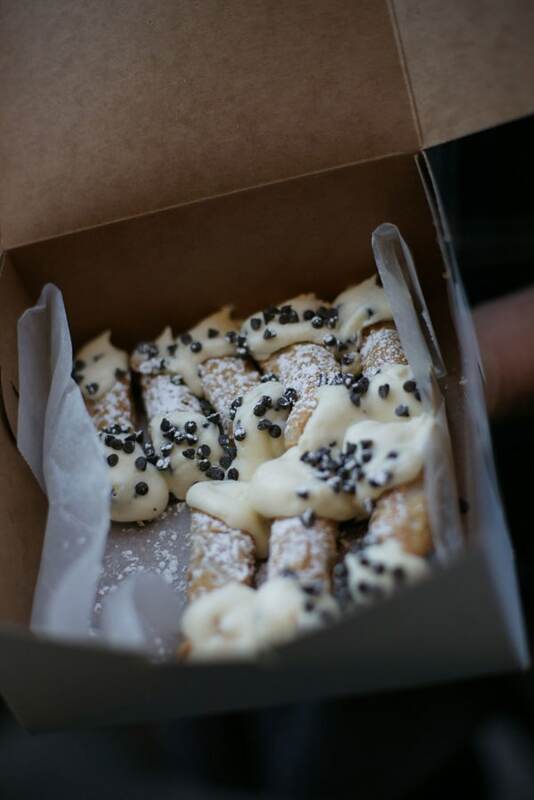 Pair with our Greenwich Village Food tour, and you'll have your finger on the pulse of New York City - not to mention some very satisfied taste buds. 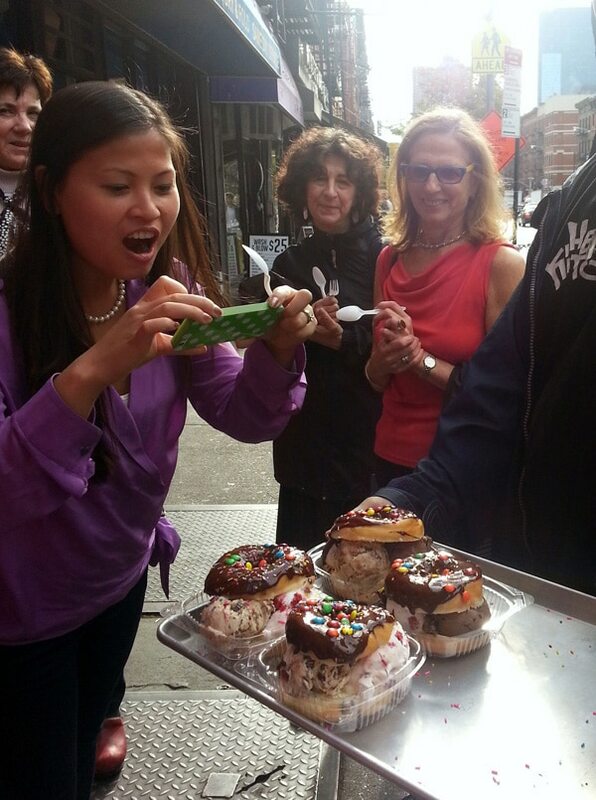 Discover incredible sights and tastes on our food tour of Greenwich Village. 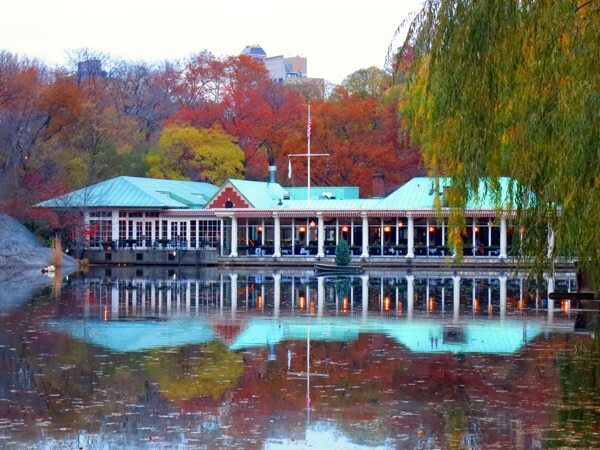 Find out how the Village has maintained its unique character within New York City. 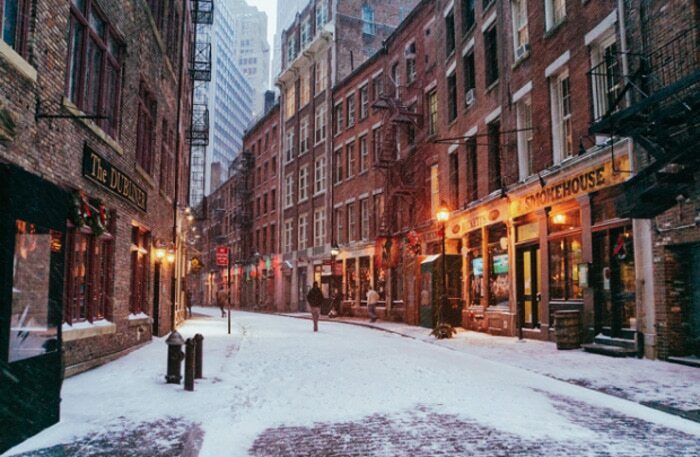 From the Dutch and English colonial periods to its Beat Poet and avant-garde art roots, today the Village has evolved to become the current hotspot of downtown Manhattan. You’ll also discover out-of-the-way jazz clubs, the finest chocolatiers, and independent bookstores that carry on Greenwich Village’s bohemian traditions. Greenwich Village rivals Soho as the shopping mecca of New York City, with new stores being added every day. 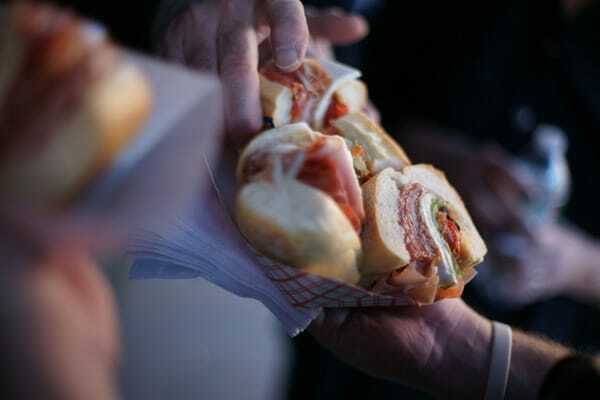 Food begins around 12:45 PM in Greenwich Village. We recommend a light breakfast to hold you over during the morning tour. 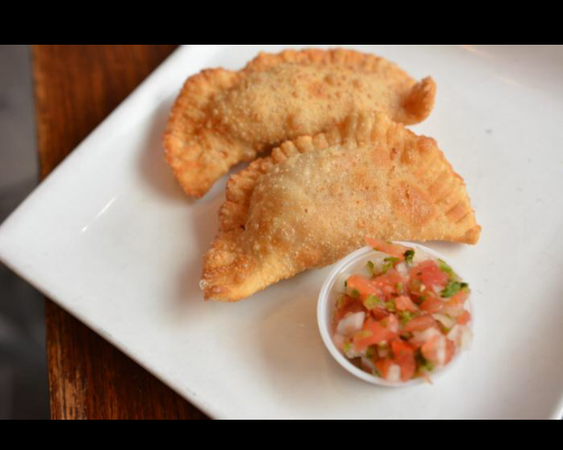 You'll experience both our Hell's Kitchen Food Tour and our Central Park Walking Tour in this one amazing experience. 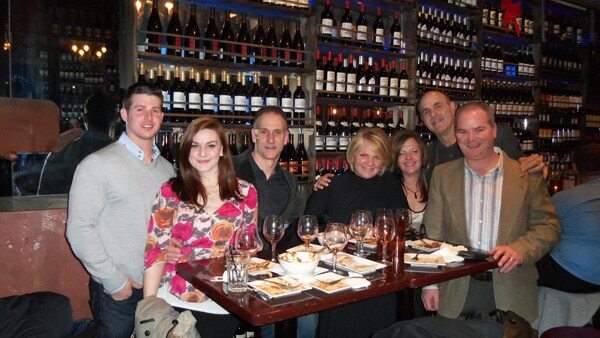 Our Hell's Kitchen Food Tour takes you to the Hidden Treasures of Midtown - some say the best food in New York. 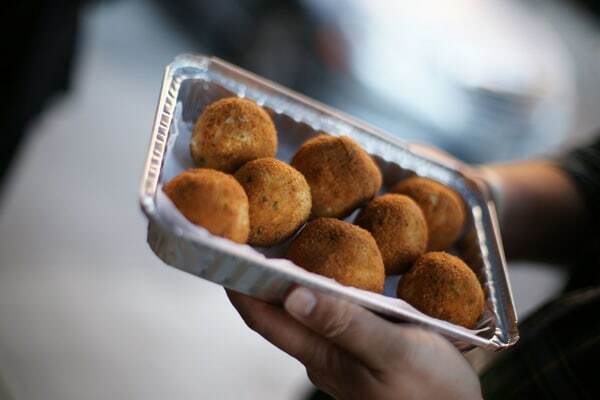 Manhattan Walking Tour will treat you to the culinary experience of a lifetime on this food tour, from empanadas to custom-made donuts - And there are so many interesting surprises... Hell's Kitchen is a diverse neighborhood just west of the Theater District. 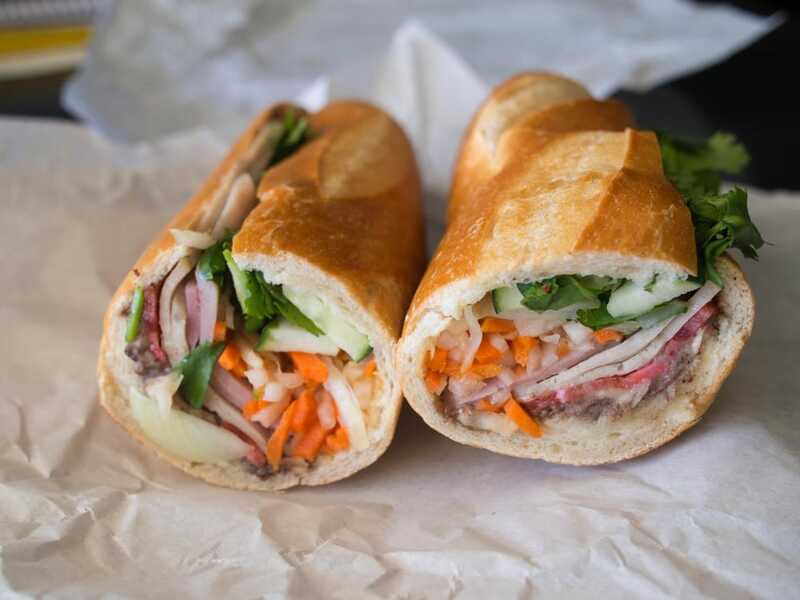 A world of ethnic food choices is available, and that makes this truly a New York City food tour. 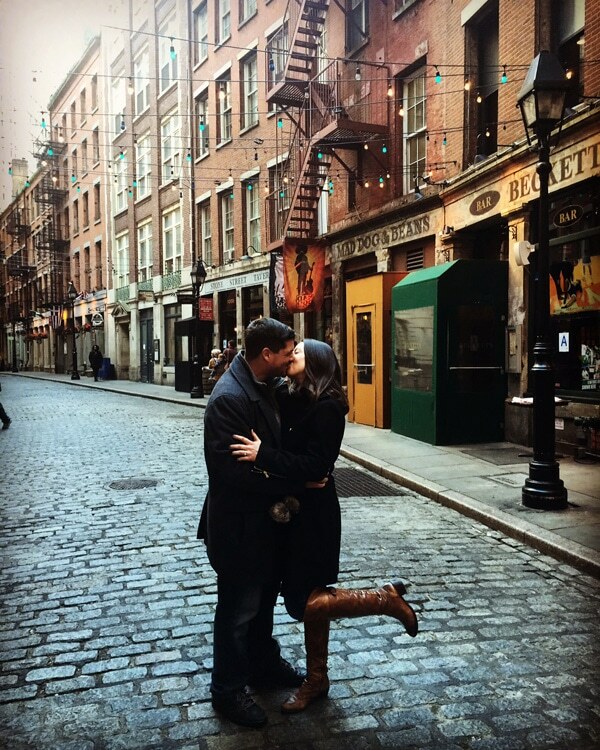 Taking our food tour of Hell's Kitchen is like taking a food tour of all of New York City. New Yorkers love food from all over the world and this food tour will give you a taste of living (and eating) like a New Yorker. And you'll discover great restaurants to try when you have Broadway tickets, too. So join us on our Hell's Kitchen food tour, and you'll find out this "kitchen" is a little bit of heaven. 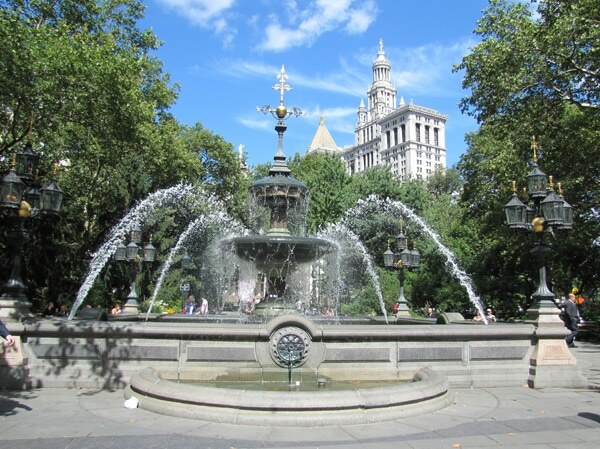 At Manhattan Walking Tour, Central Park is our playground, and we know how to make it exciting! Central Park’s history is some of the most fascinating and bizarre in New York City, full of intrigue and unique New York characters. 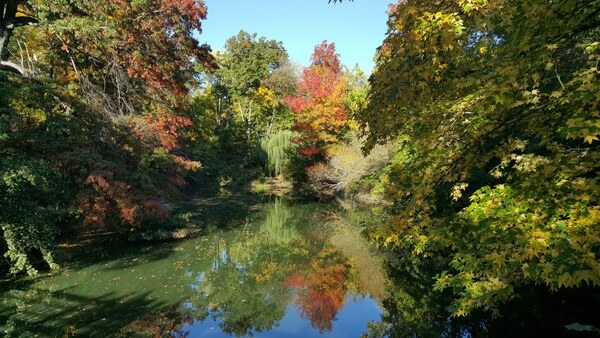 But our Central Park tour also highlights Central Park’s wonderful landscapes created to make you feel like you are in the countryside. Central Park is an 843-acre respite from New York’s concrete jungle, and gives you a feeling you can find only in New York. 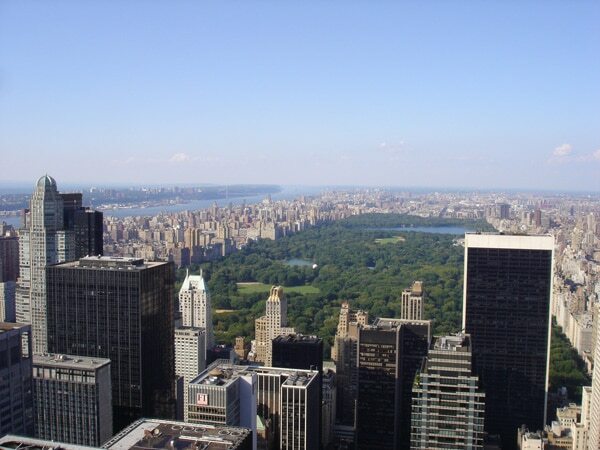 Do you think you can guess how much Central Park’s real estate value is worth today? Where does the only straight path in Central Park lead to? 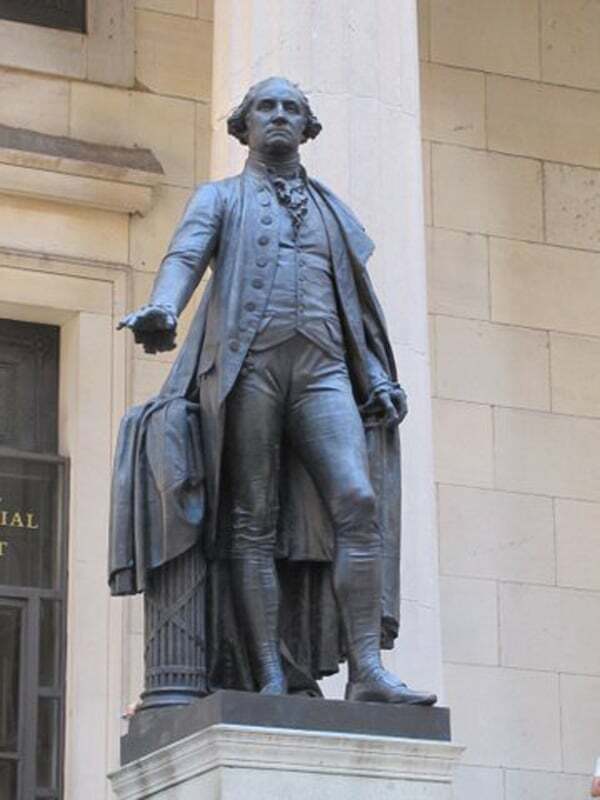 Come on Manhattan Walking Tour’s Central Park walking tour and find out the answers to these questions and many more. 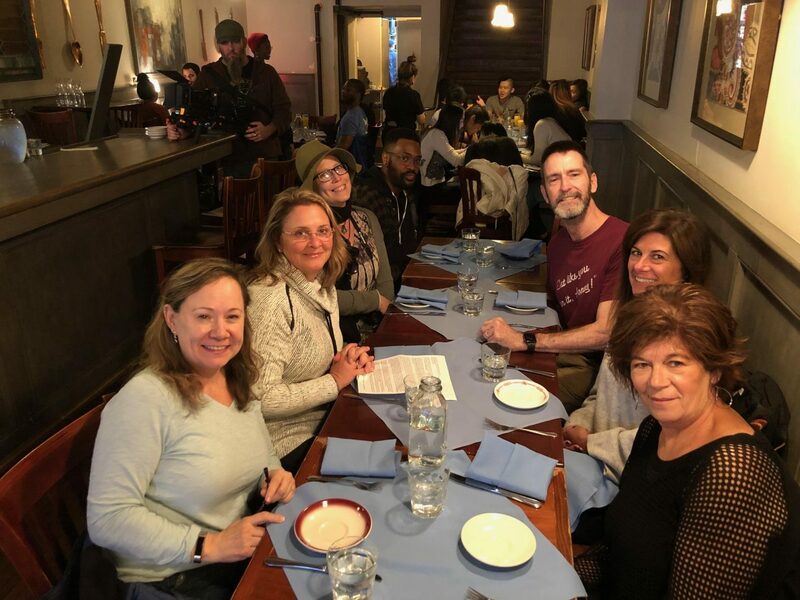 You'll experience both our Greenwich Village Food Tour and our Historic Downtown Walking Tour in this one amazing experience. So where do we start? New York was the first capital of the United States? You might think that’s as good a place as any, but not so. The real place to start our New York walking tour is with the Dutch West India Company. Yes, that’s correct. We (New Yorkers) were Dutch and Wall Street was a real wall. 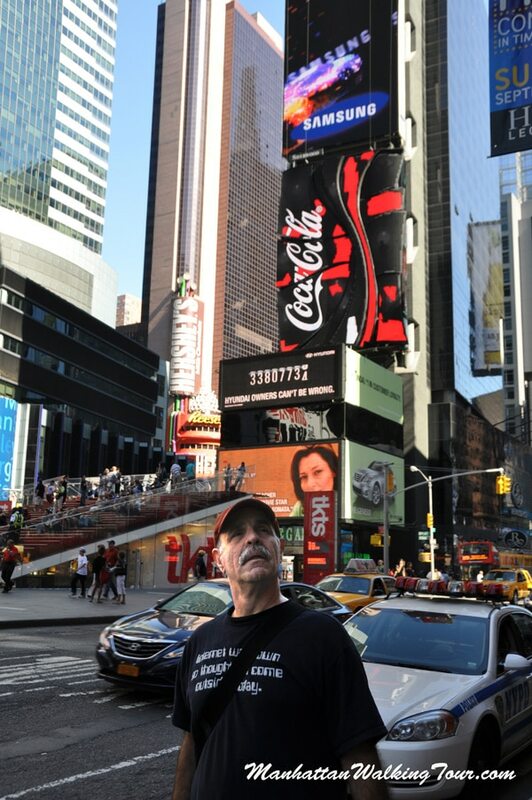 If you already knew that, you’ll still want to take our tour to find out how much of downtown New York is landfill and how much is really original New York. On our Historic Downtown tour of New York City you’ll get to experience Ground Zero after 9/11, the Stone Street Historic District (the oldest neighborhood in Manhattan) and Trinity Church, to name just a few landmarks. There’s so much New York history in this walking tour that every step opens up a new page in the history book. So come join us in Historic Downtown NYC and see for yourself! You'll experience both our Chinatown Food Tour and our Historic Downtown Walking Tour in this one amazing experience. 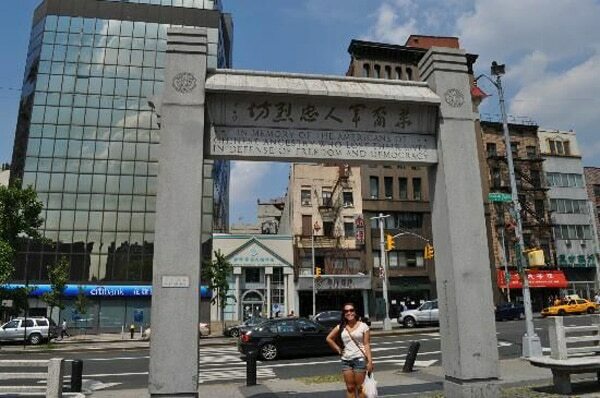 Experience immigrant history along with incredible food on our Chinatown New York walking tour. 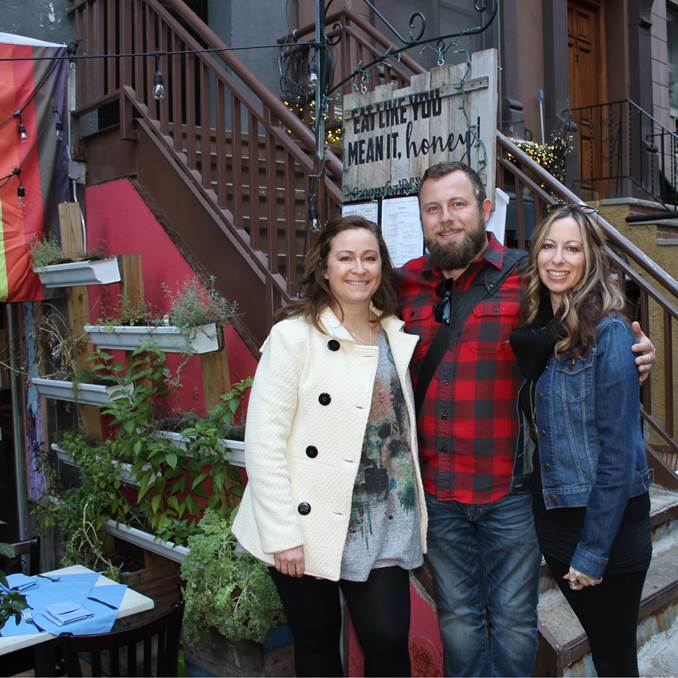 We’ll show you the oldest tenement building in New York City, and bring the culture alive, both old and new. New York's Chinatown is a complex and diverse expanding Asian community. We’ll show you the hidden gems of New York City's best diverse Asian restaurants and the best Chinese Ice Cream Factory in the USA. You can get the finest Thai, Vietnamese and Malaysian food here in Chinatown as well, if you want to explore even more culture. We know the best places to eat in NYC’s China Town. 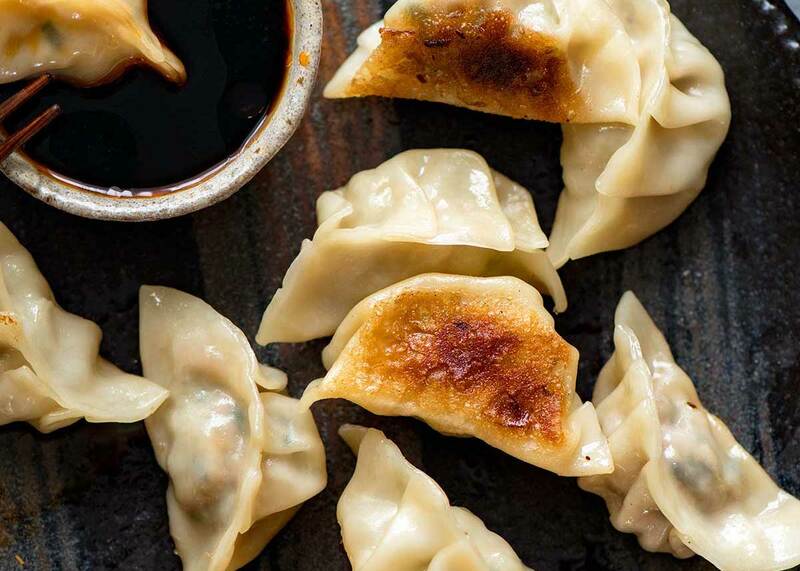 Where else can you find dumplings with soup in them instead of dumplings in the soup? We’ve done the research for you, so you can enjoy the most authentic flavors of Chinatown. This neighborhood has been Irish, Jewish, and Italian before it was Chinatown. 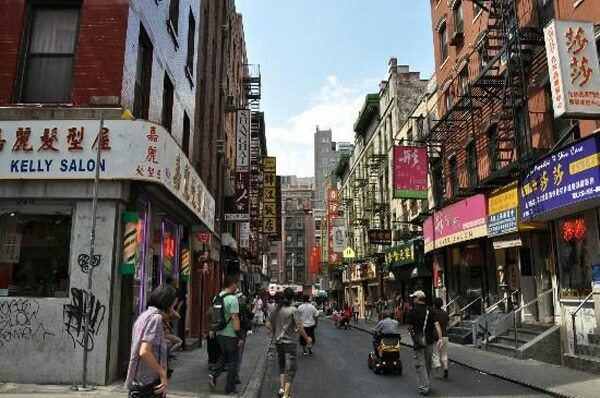 The overlapping experience of all these New York City immigrants is what makes New Yorkers who we are today, and that’s what your Manhattan Walking Tour guide will bring to life for you in Chinatown. This isn’t just a Chinatown food tour – it’s a culinary experience coupled with amazing stories of New York’s history. 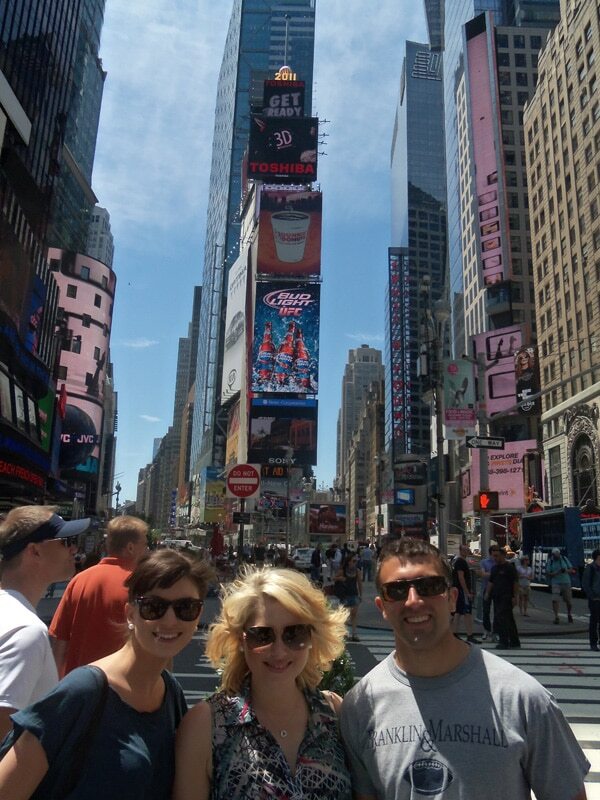 You'll experience both our Times Square Walking Tour and Hell's Kitchen Food Tour in this one amazing experience. Welcome to the Center of the Universe! Times Square got its name from the New York Times building (The Times Tower). Well, there’s a behind-the-scenes story that will tell you how it wasn’t that simple. How and why did the New Year’s Eve ball drop tradition begin? 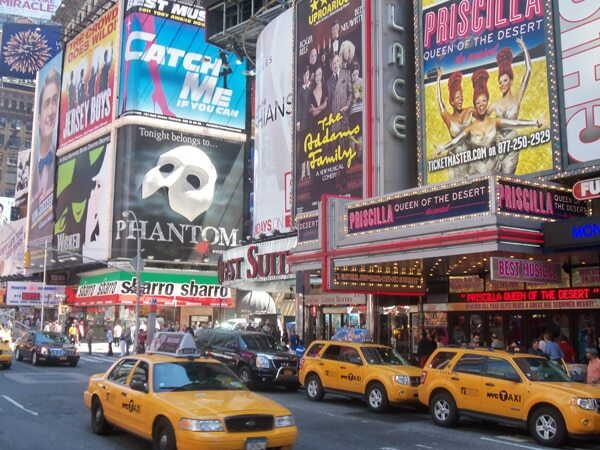 How many Broadway theaters are there? There’s only one way to find out. 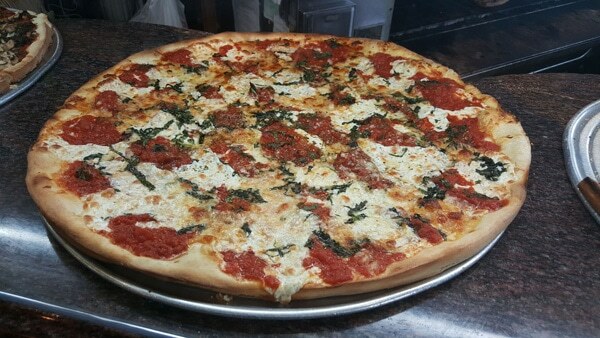 Food begins around 12:45 PM in Hell’s Kitchen. We recommend a light breakfast to hold you over during the morning tour.